The Experience: What happens when you've got an important story to tell, but virtually no objects and very few images? 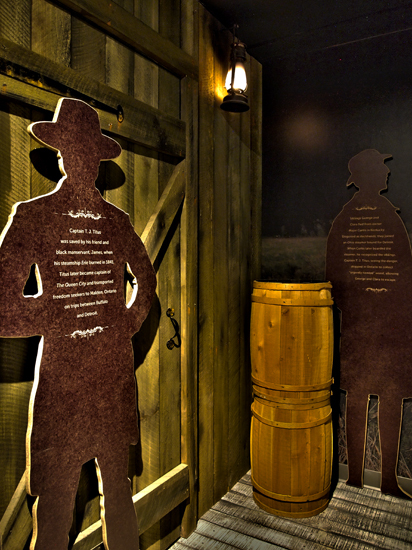 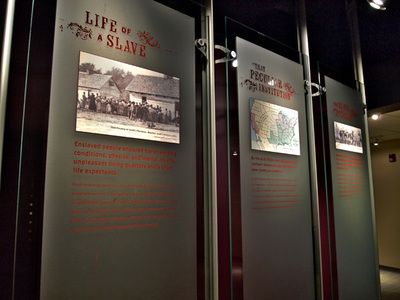 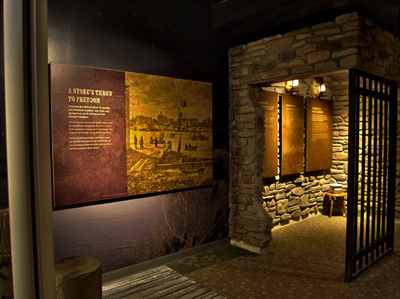 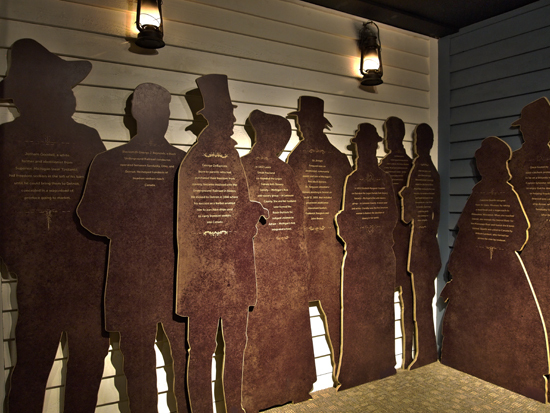 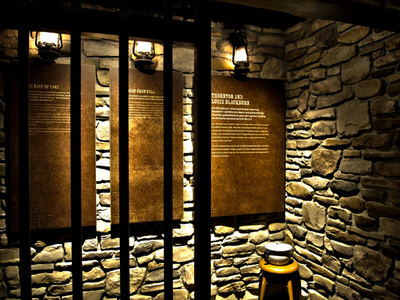 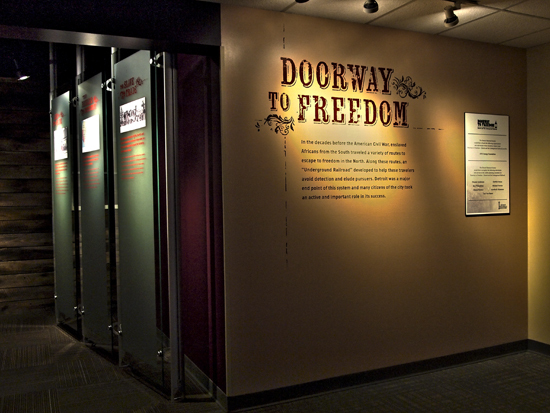 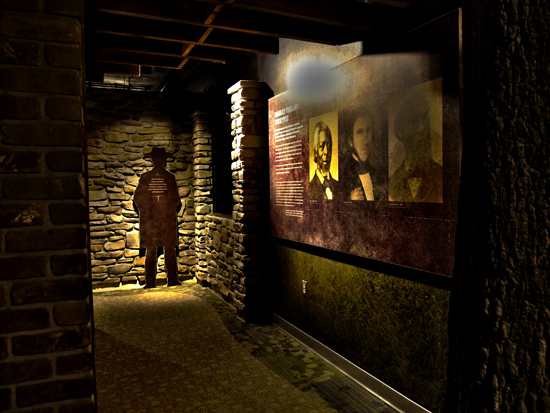 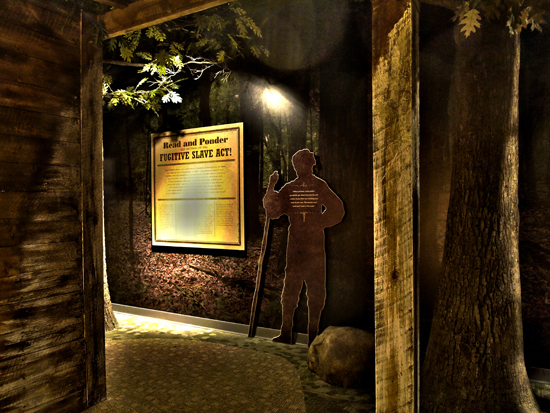 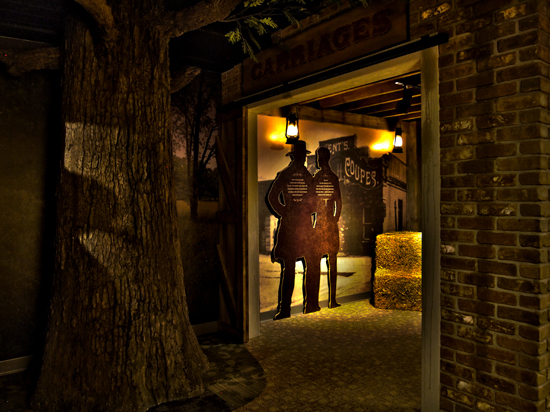 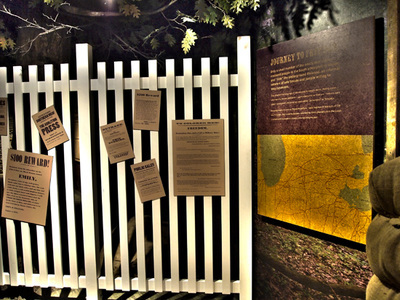 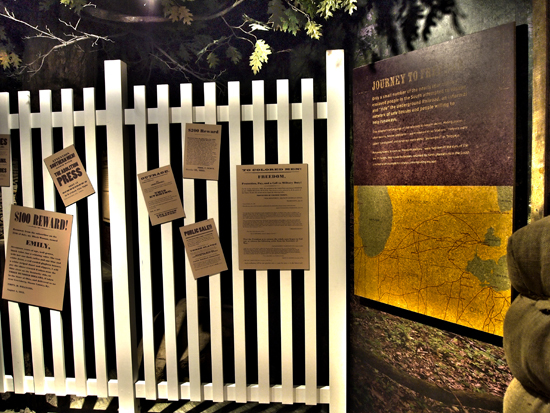 That was the challenge in the Doorway To Freedom exhibit, where the entire subject--Detroit's role in the underground railroad--was a secret. 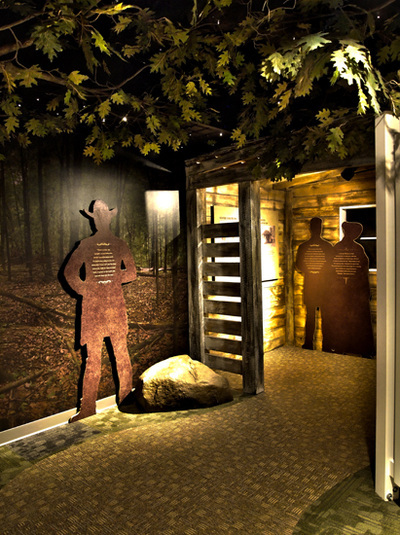 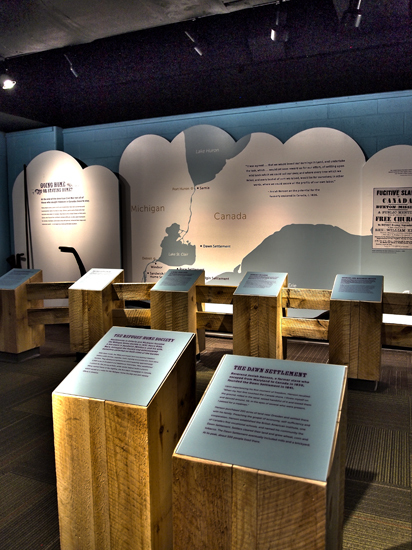 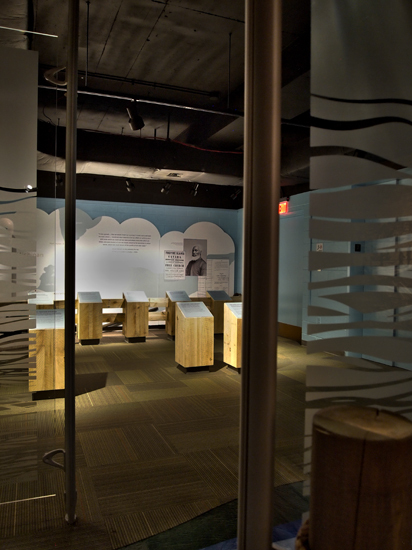 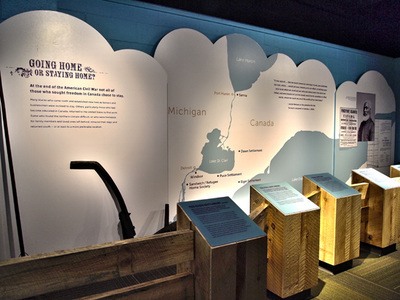 In this gallery, visitors wind their way through, taking the journey from the South to Detroit, where freedom could be had in Canada, just across the river.